Authentic Buck Knife w/ your logo engraved on a Folding BHW Knife. Glass Reinforced Nylon Handle Construction, 1 hand opening knife. Handle length 4 3/8", Blade length 3", Blade Type - Drop Pt. Assembled in USA from domestic and foreign parts. Delivery from date of a actual order is 3-4 weeks. 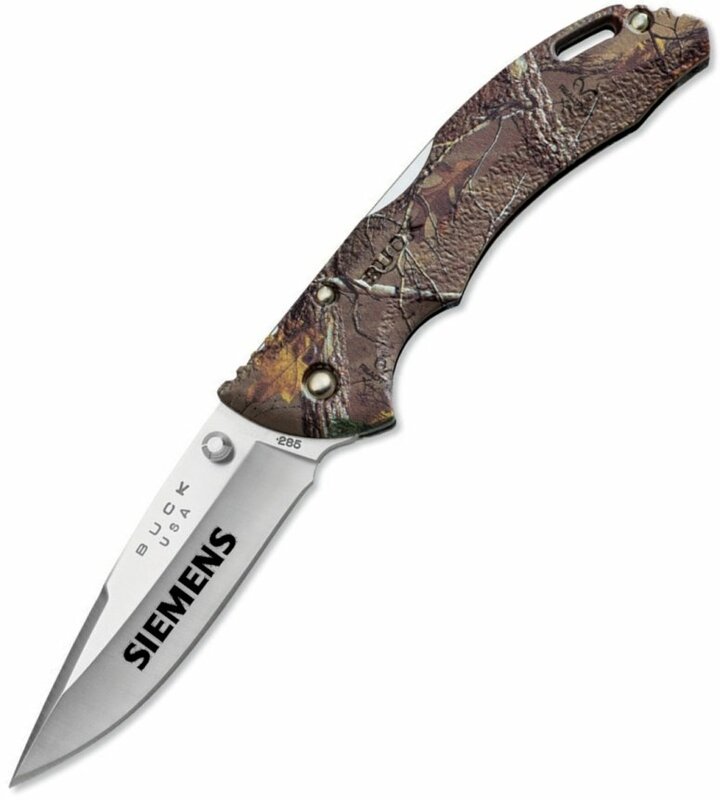 Price includes custom engraving on the blade 1 1/2" w x 1/2" h.